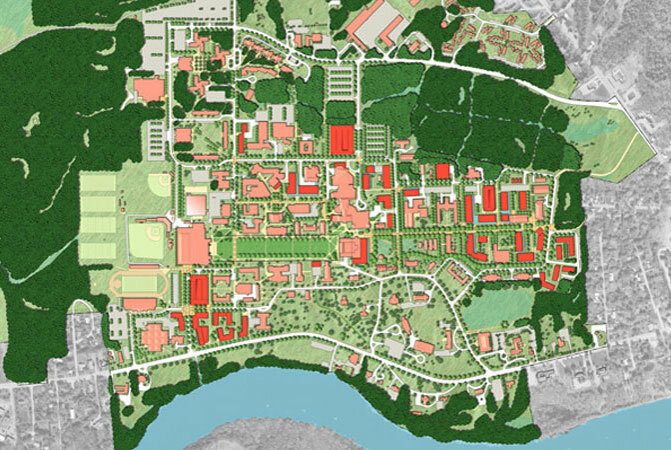 Master Plan CA collaborated with Sasaki Associates on a long term master plan to guide future land use and development decisions at the University of Maine’s flagship campus. 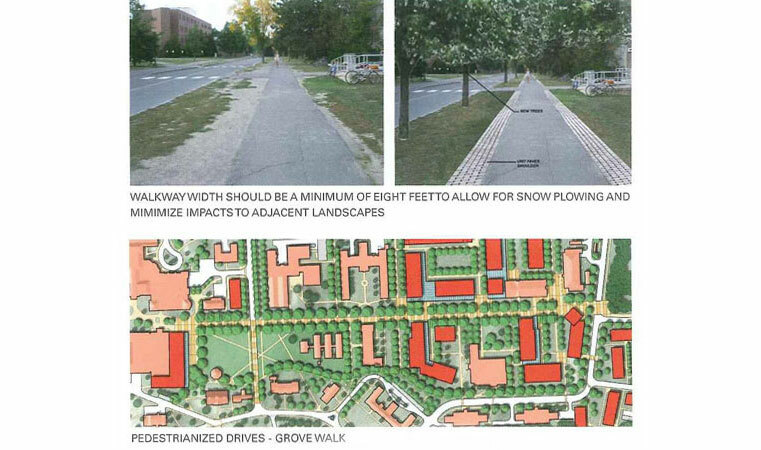 The plan reinforces a compact, walk-able campus to foster the institutions sustainability initiatives. 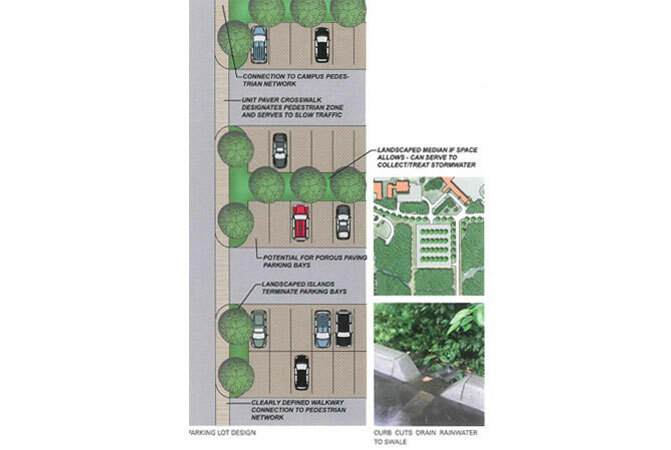 Improved organization of circulation, open space and future building locations reinforces the original tenants of Olmsted’s plan for the land grant institution. 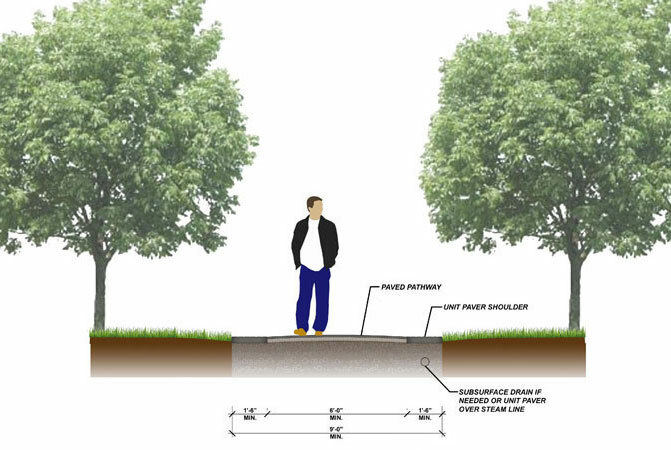 The master plan detailed guidelines for low impact development practices to assist in minimizing site impacts, lowering maintenance costs and reducing energy consumption.